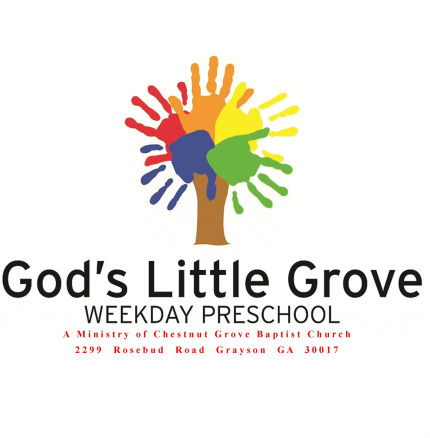 Seeing a need for Christ-centered education in our own city led Chestnut Grove to open a daily preschool, God's Little Grove. With a mission to provide quality education at affordable prices, GLG is proud to offer classes for children ages 1-4. Our teachers are talented, trained and called to serve each child as their own. You can find more information at the GLG WordPress site, including registration forms, calendar, and more. To set up a tour or for more information you may call our director, Alison, at 770-963-7051.